Chinese New Year is a moment of celebration for those of Chinese descent as to provide a form of gratitude, and seek blessings. 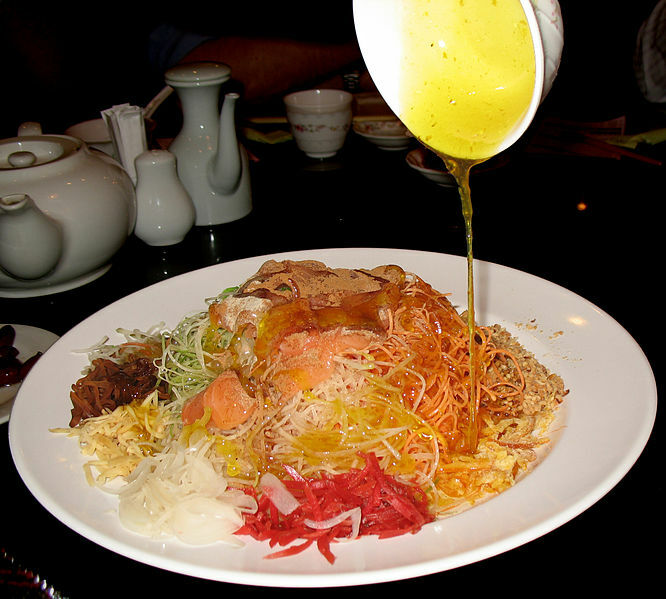 This is manifested also in the form of food dish called yu sheng. Serving the food would be so festive in celebration of the new year, a kind of food at a glance like a colorful salad of dozens even tens of materials. Citing the sites CNN Indonesia, January 28, yu sheng dish, also known as the yee sang, is a diet consisting of a variety of vegetables and other ingredients. Food is usually provided by the host in a large concave plate and must be eaten together. Yu sheng dish that looked typically present in the era of the southern Song Dynasty between 960 to 1279 AD which originated from the tradition Renri, or when the Guangzhou fishermen fishing on the seventh day of Lunar. Look at the plate of yu sheng dish, fish caught, served, sliced, and served with chunks of turnips and carrots, as well as seasoned consisting of oil, vinegar, and sugar. These foods are increasingly popular in Southeast Asia, when it was brought by Chinese traders to the Malay Peninsula during British rule and became famous in the region such as Malaysia, Singapore, and Bangka. Travel time making this food dish is changed, the presentation changes with dozens of materials consisting of vegetables, dumplings, and slices of salmon, then fitted with other ingredients, such as sesame, lemon, herb powder, peanuts, pepper, oil, and typical yu sheng sauce. Generally, according to an Chinese food expert, William Wongso, there are at least 15 to 20 ingredients, but some versions can reach 27 groceries. "However, although composed of a variety of vegetables and spices, fish in yu sheng components should not be omitted." Celebrations that have deep meaning, to welcome the new year, the fish have meaning plentiful sustenance, sesame symbolizes prosperity, radishes for advancement, oil as a symbol of the flow of sustenance, the sauce for the smooth running mate, dumplings as a symbol of money, peanuts are considered as gold, and lime as a symbol of security. "In Mandarin, the fish has the same pronunciation with the word 'excessive'. Thus, eating fish when the Chinese New Year celebration is expected to provide sustenance participate excess." Eating yu sheng implemented jointly, so that family members are required to gather around the dinner table when yu sheng will be served. Then collectively say, "gong xi fat chai wan shi ru yi", then pouring condiments and sauces. This sentence meaningful, congratulations on the success and hopefully every request can be granted. 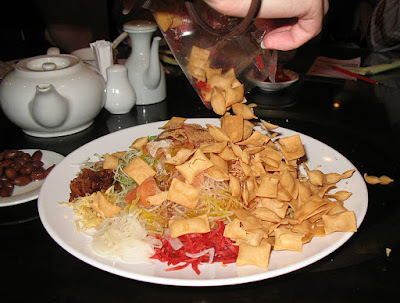 This ordinance continues, fish poured onto yu sheng dish, must say "nian nian you yu da ji da li". This sentence meaningful, good luck and all the family are given together throughout the coming year. All family members participate, participate stirring the yu sheng. Then with chopsticks, yu sheng held high as a symbol of prayer and hope everyone is as high as possible. And after the procession ended, yu sheng is ready to eat by all the family members. Fresh food dish of vegetables, sweet and sour sauce, savory of fish and nuts. Exciting! Happy Lunar New Year. Gong Xi Fat Chai. 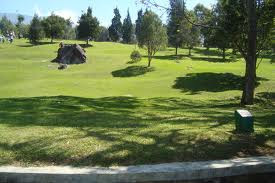 Watching the Paradise Plants in "Cibodas Botanical Garden"
'Mushroom Coffee' Healthier than Regular Coffee?